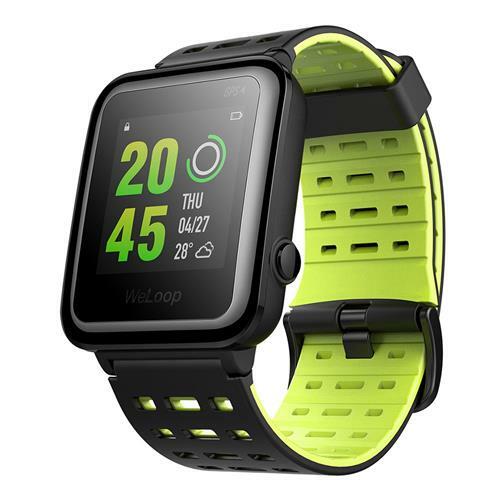 WeLoop Hey 3S 1.28 – Green a 76.26€ -50%! La promozione sta per scadere! Oggi puoi avere WeLoop Hey 3S 1.28 Inch Memory LCD Sports Smart Watch 50 Meters Water Resistance Bluetooth 4.0 – Green a soli 76.26€! Questo elemento è stato inserito in 50-59%, Offerte GeekBuying, Smartwatch e taggato 128, 3S, 40, 50, bluetooth, Gearbest, Green, Hey, inch, LCD, Memory, Meters, offerta, offerte, Resistance, smart, Sports, watch, Water, WeLoop, WeLoop Hey 3S 1.28 Inch Memory LCD Sports Smart Watch 50 Meters Water Resistance Bluetooth 4.0 - Green. OUKITEL K10000 max 4G a 203.38€ -16%! UHANS K5000 4G a 134.95€ -18%!